Tuesday breakfast. 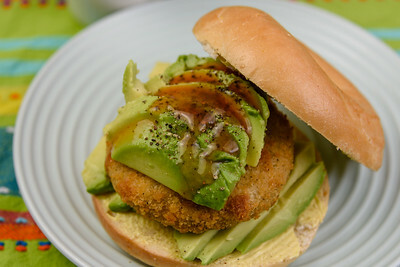 Salmon rissole and avocado on a plain bagel. Tuesday dinner. 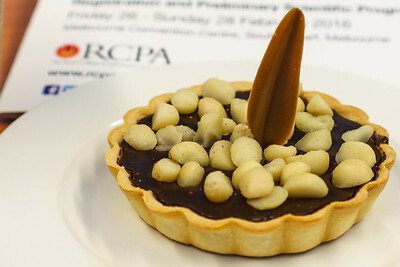 How sweet is this meal? 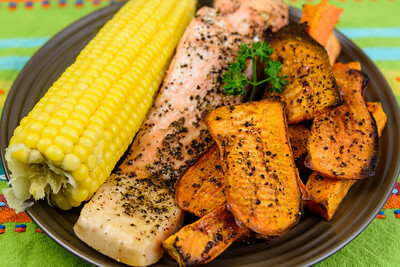 Baked salmon, sweet corn and sweet potato.